The EasyStand Evolv has a versatile standing frame with a modular design. The Evolv is a safe, supportive and comfortable sit to stand stander with positioning components. 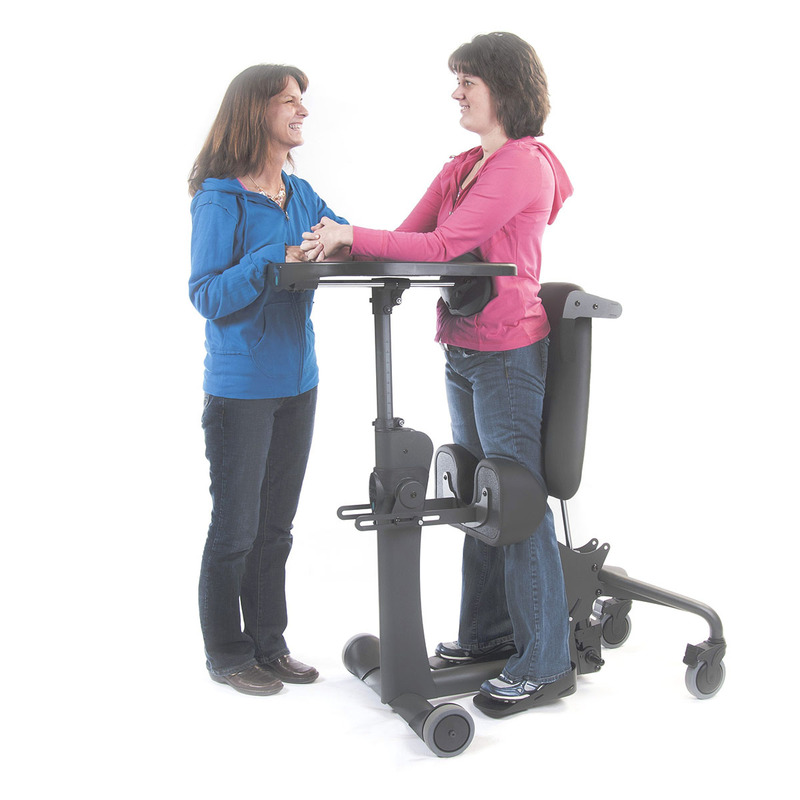 The base unit is functional for many users however, when more support is needed a variety of positioning components can be added to accommodate the most involved users. The EasyStand Positioning Belt provides hip stability with the security of an airline style buckle. Fits hip circumference of 26"-55" (66-140cm). This is an optional add-on to the EasyStand Evolv Large, the contoured back is required to have this option. The EasyStand - Positioning Cushion has a contoured back for a more comfortable fit. The top of back is 15" (38cm) from seat. This is an optional add-on to the EasyStand Evolv Large.